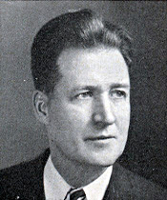 Charles J. Kersten became a friend and close associate of Jack’s in the spring of 1947. He entered Congress in the same class as JFK and was a conservative, Catholic attorney from Milwaukee, Wisconsin. Kennedy and Kersten served together on the subcommittee of the House Committee on Education and Labor that was charged with investigation Communist Party interactions with labor unions.